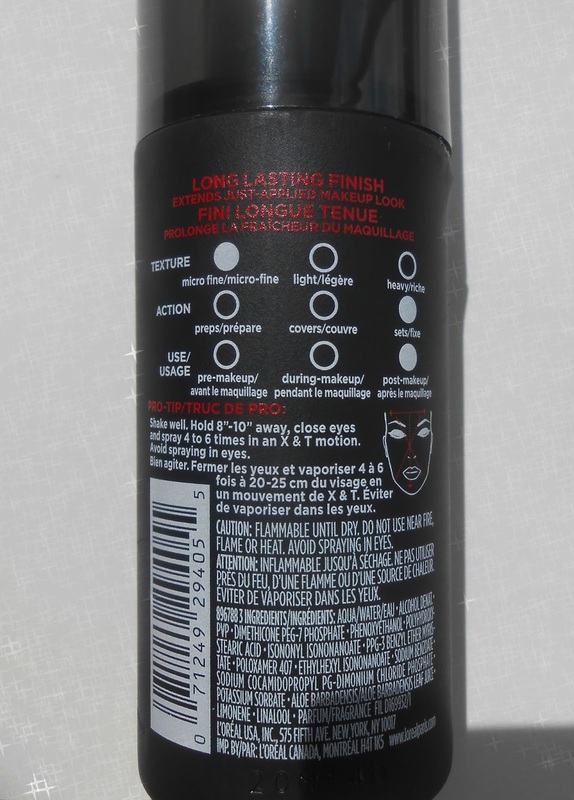 This is a makeup extender spray, it is not a mattifier or anything that is going to add glow to the skin. It is simply going to make your makeup last longer. I do like using a setting spay after applying my makeup because I have an oily T-zone and I don't want to retouch my makeup every hour. I can see the big difference this step makes on the longevity of my makeup thoughout the day. It has a fine mist and a mild floral scent to it. The product itself is incredible, I spray this two or three times on my face in the morning time and it keeps my makeup in place and looking fresh almost all day. Another plus is that it doesn't leave a tacky feeling after it dries out. 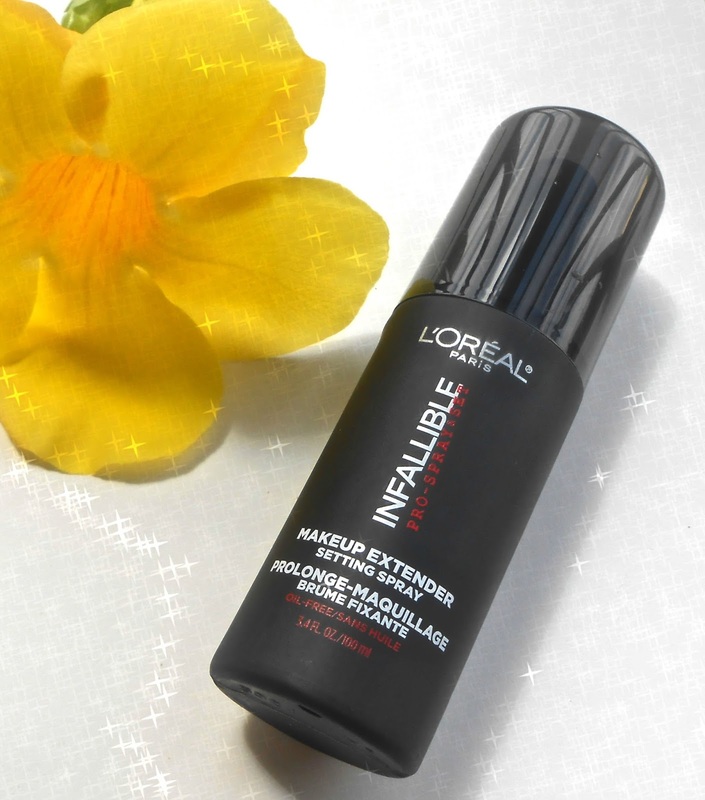 I truly love it and it is the best drugstore makeup setting spray I have tried so far. 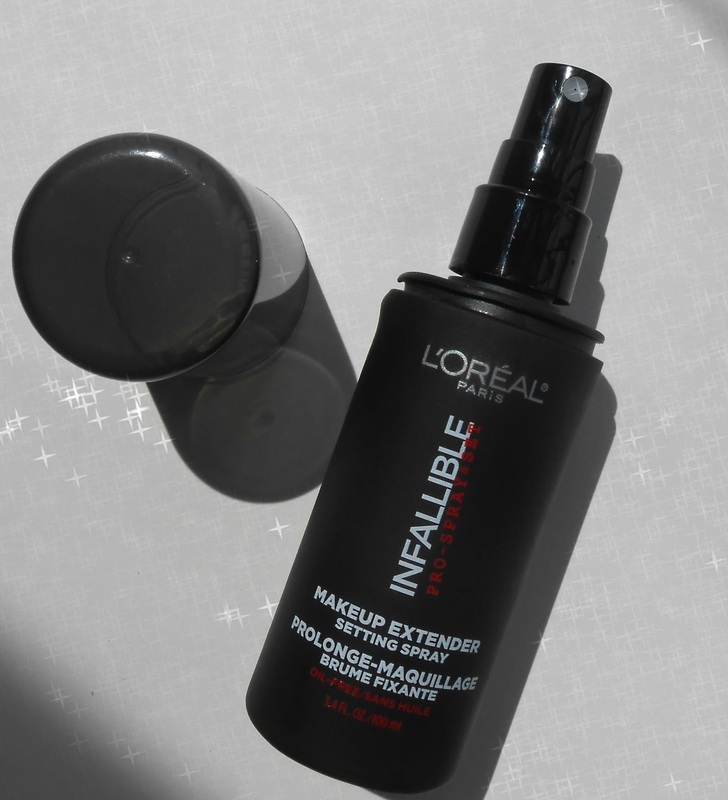 I would compare it with my Urban Decay setting spray ($30) but the Loreal one has a better price with the same amazing results. I bought mine at my local target for $12.99 and I will re-purchase it again. I like the black packaging because it looks elegant and also you can't see the makeup residue on it. This post is not sponsored. I bought this product with my own money. I really need to give this a try! I've never tried a makeup setting spray before. I need this for my skin! I am always touching up on my forehead. This sounds really nice! I've used the Urban Decay setting spray and a comparable one at half the price sounds pretty good! This makes total sense if I'm at a photo shoot or something, or a wedding - somewhere that my makeup needs to stay flawless. I constantly touch my face but these days I tend to do less makeup BECAUSE I'm always touching it!! This is the first time I heard about a makeup spray. My daughter could use this as she needs to wear makeup all day. I will definitely purchase this product. I love that it is just as good as the Urban Decay setting spray and more than half the price. I love a good deal! This sounds super nice. This would be perfect for finishing off the daily routine. Call me crazy, but I have never heard of a make-up setting spray! This is brilliant! This looks like something I would love to try. I would love to get a sample of this in my Birchbox! This would be great for people who keep wiping their faces, forgetting they have make up on. I will recommend this to friends and family who are fond of using make up and other products. I've never ever tried a spray like this. Always wanted to though. I need to just add it to my list and grab some to give it a whirl. I've never tried a setting spray before but I feel like I need to. This Loreal version might be something I try soon!! OOOOH. I have been meaning to try a setting spray. I actually like the matte look and I did see NYX has one. I think I'm going to try one out soon. L'Oreal makes good beauty products. I am currently using their hair priducts and love it. I have never tried anything like this before. I will ave to pick some up for my Daughter and i to try. I haven't heard of a make up extender. It sounds very useful. I personally don't wear a ton of make up. I have tried something similar but that was many years ago! 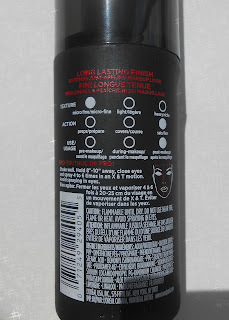 I would love to try this makeup setting spray! Thanks for sharing! I'm using Urbay Decay and MAC right now. This seems like a perfect alternative for much cheaper. I love extending the life of my makeup. Especially since I get up at 5AM!!! This sounds like it would be a great product for me to try, especially since I never find time to touch up makeup thorughout the day! This sounds like a really great product. I have never heard of anything like this before. I want to try this. This is really neat. I've never heard of this product before. I could surely use this too. It would be nice to extend the time of makeup on my face. Makeup extender?!? How have I never heard of this before?!?! So going to be checking his out! I have sensitive skin, but I may have to try this sometime to see how well it works for me. Thanks for the heads up! I have never heard of this and I NEED it. Thank you so much!